Carroll County’s Barn Quilt Trail has expanded again to include four new quilts. New quilts were added in summer 2017 and are available for your viewing pleasure along the pastoral roads of Carroll County. 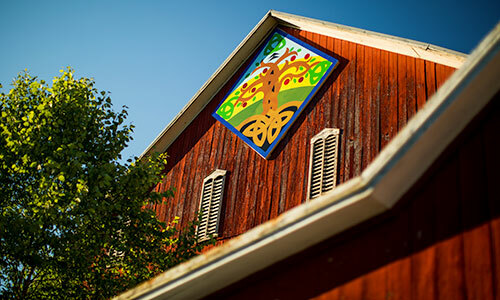 Our scenic driving trail now offers 31 beautiful quilt blocks mounted on historic barns and a handful of landmark Carroll County building. We invite you to travel the rolling hills of Carroll and spot these bright and colorful quilt blocks along your journey; be sure to enjoy the many shops, restaurants and the charm of our many small towns while you explore the area.